To keep up with the changing tides of consumer behaviour, and capitalise on user preferences, it is widely accepted that businesses should be operating with a mobile-first approach and mentality. However, few businesses have begun pioneering mobile advertising. In this feature, we will discuss the true value of mobile advertising, and why it is critical to reaching your target audience and high-value users of the future. Whether or not you believe that mobile is the future, industry data clearly proves that mobile adoption is trending upwards - with the number of global users on mobile overtaking those on the desktop in 2014, and time spent on mobile devices continuing to increase. Mobile adoption has also transitioned consumers into an “always-on” world, with research showing that the average consumer checks their phone up to 150 times a day. 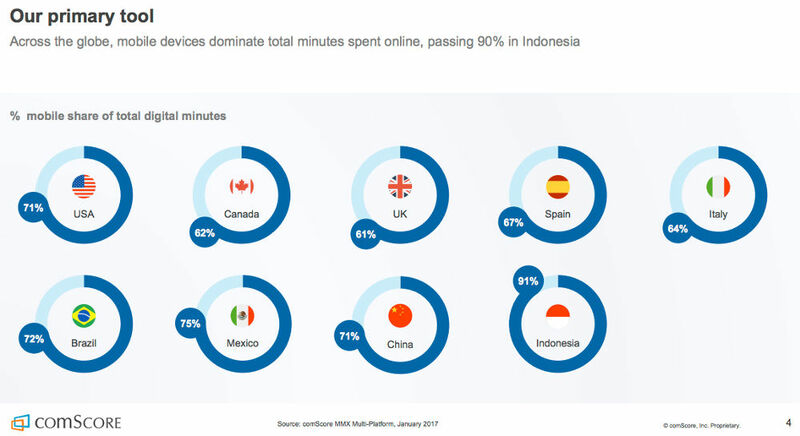 This makes the time spent on mobile an ever-increasing proportion of the total digital minutes of consumers globally. The growth in the time spent on mobile has implications for both online search and booking. 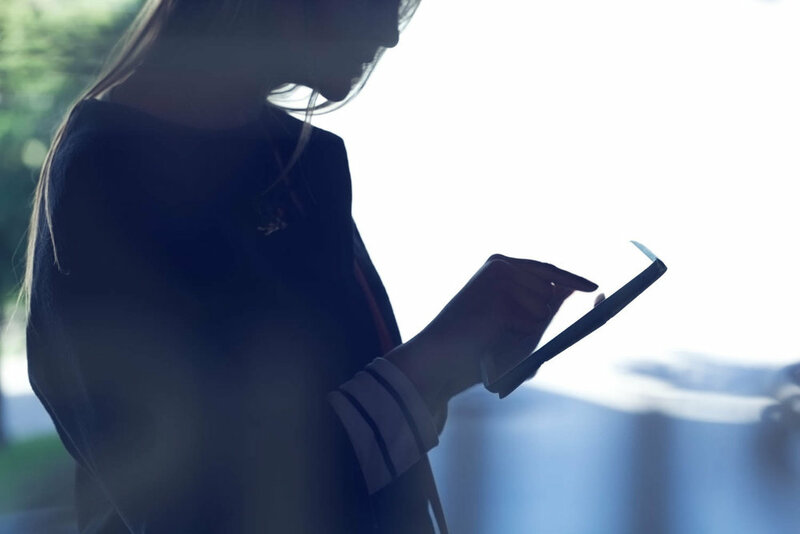 According to Hitwise, nearly 60% of all online searches are now carried out on a mobile device; and Travelport has reported that 51% of leisure travelers and 57% of business travelers now research and book travel via their smartphones. Clearly, ignoring mobile advertising means that you are missing out on countless opportunities to influence the travel purchase funnel. Given the important role that mobile plays in the online search and selection process, it is unsurprising that by 2019 it is estimated that 72% of marketing dollars will be spent developing mobile apps and advertisements. These investments will also see mobile fueling the growth of total ad expenditure; with Asia-Pacific experiencing the fastest total ad spend growth of any region, rising 11.5% this year. However, the position of mobile advertising in the user journey is not the only driver of these investments. Existing performance indicators also highlight the potential for mobile advertising to deliver strong return-on-investment. The IAB, for example, has found that awareness of mobile advertising is high: nearly all respondents in their survey remembered adverts they had seen within the first few days. More importantly, IAB data shows that 45% of people have taken some sort of action after seeing an ad on mobile web; with 47% reporting the same on mobile apps. Similarly, Forbes states that smartphone conversion rates are up 64% compared to the average desktop conversion rates for e-commerce. The success of mobile advertising is largely down to its unique capabilities, which enable advanced levels of personalization. For example, geo-location technology could enable you to target individuals at (a) certain location(s), such as an airport. Additionally, location-based data could be used to drive last-minute purchase decisions based on reliable, locally accurate weather forecasts. Wouldn’t we all rather be somewhere sunny next week? Advertising in the app also offers a truly native experience, which has its advantages, as the interaction feels more seamless and in keeping with the user journey. However, there are a couple of points to be wary of when approaching mobile advertising. Firstly, the personal nature of mobile devices means that advertisers need to act in an unobtrusive manner; otherwise you could end up doing more harm than good. Secondly, advertisers need to ensure that they adapt to the native experience when advertising in the app. Building a direct relationship with publishers will guarantee that you are maximising your returns in the native environment, and making the most of the dynamic and targeting capabilities that are on offer. Unsurprisingly, the demographic of users reached through mobile advertising is different to those captured through desktop advertising. On Skyscanner for example, mobile web attracts a higher proportion of 25 – 34-year-olds than desktop. Mobile web also has a higher proportion of female users than desktop. More importantly, though, there are differences in the behaviour of mobile and desktop users. For example, on the app, our proportion of returning users is over double. Similarly, a higher percentage of users are retained in the app rather than on the desktop web. And although travellers rely on both apps and mobile web to solve a variety of travel needs, mobile searches tend to be made further up the funnel – when a user is looking to be inspired – as well as in the ‘I-want-to-go’ moments that come with high intent. To offer further insight into the value of mobile advertising, and how to approach it, we spoke with Skyscanner Senior Advertising Manager Matt Northover. Q1. Why do you think the mobile advertising is important? 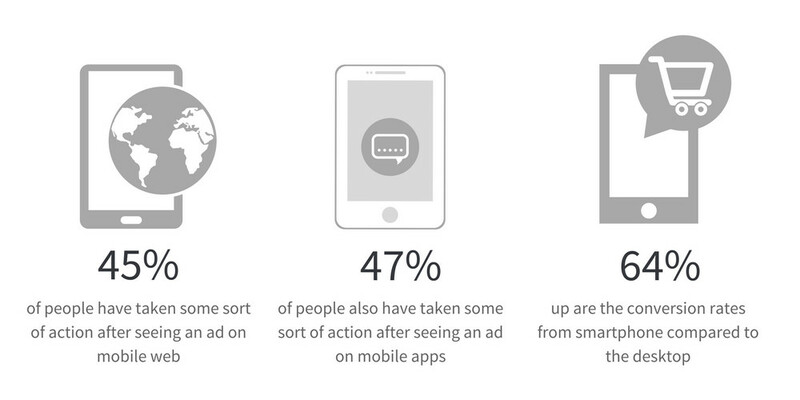 Mobile advertising is not just important, but it is critical. Mobiles form a fundamental part of our personal operating system, and to leave mobile advertising out of your consideration set, would be to leave a gap in the user journey. You need to be engaging with your potential users throughout the day – from when they are commuting in the morning, to when they are sitting in front of the TV at night. No other advertising format will offer this level of omni-presence. You also have an increasing number of individuals who are mobile only – so to ignore mobile advertising, would be to ignore this segment. Q2. What makes mobile advertising different? Mobile advertising should not be perceived as different from the desktop at this stage. Instead, it should be considered as a part of the user’s journey to reaching a point of purchase. This journey should incorporate and go between mobile, desktop and tablet. At this point, mobile advertising is not new to the market but is far from being fully embraced and adopted by advertisers. From my perspective, the main reason for this is that many businesses don’t have the right attribution models in place, or the technologies needed to track performance on mobile and in the app that would allow tracking cookies. This makes it difficult for clients and publishers to track conversions from start to finish. Similarly, the incompatibility between measurement on mobile and desktop makes them incomparable, which presents challenges if you are trying to optimise a budget across channels. O3. Are there any unique capabilities or benefits to mobile advertising? The key difference is that mobile advertising – particularly in the app – is all about personalisation. Targeting a user’s location, for example, makes it possible to use the context to inform your content and approach. Or knowing that they have travelled from A to B – say London to Barcelona – could inform the destinations you choose to show them for their next trip. Time is also very important; for example, if your users are highly engaged in the morning, you could target them on the app during their commute instead of just when they are at work on their laptop. Or, if they travel from A to B, then you can target them in the airport. Therefore, publishers can benefit from the data that is provided from the app. Additionally, advertising on app specifically offers a unique environment, as apps tend to be a lot less cluttered, and a different type of user. The more native and clean app environment enhance trust, which is particularly important when making a high involvement purchase. And users who use an app tend to be more loyal to the brand, which makes them more inclined to trust their choice of partners and advertisers. Q4. What is important to consider when advertising on mobile? The key point to consider is correctly selecting formats. Looking at our learning on mobile, native is the way forward. If you look at the app advertising offering a couple of years ago when ads were predominantly run in IAB formats, they were very generic, had poor performance, and were running through ad networks where the cost was low; but obviously, the performance was very low as well. Looking at advertising in the app now, there has been the transition towards native placements. They perform a lot better than standard IAB. At Skyscanner, we have seen our in-line placements perform particularly well on the desktop, and we have been pleased to see this translate into mobile web. Q5. Why the does the format influence the performance so much? We found that IAB formats on mobile are very small and limited both from a brand and creative messaging perspective. It’s very difficult to use an IAB format to display as much content on mobile as on desktop purely down to the size of the creative. The smaller screen space on mobile results in less space to show offer, the price, and the destination. Native, on the other hand, has the look and feel of standard app content. It provides format options where you can be very explicit in terms of the details on the ad; ‘departing from’, ‘arriving at’, price, locations, and be quite descriptive. This matches up with the performance which has been improved when using native, compared to what we have seen using standard IAB. Q6. Can you give any advice to businesses looking to start mobile advertising? Firstly, I would suggest allocating budget specifically to mobile. It isn’t right to attribute mobile in the same way as a desktop. Until the app inventory and tracking are unified across the industry, it’s very hard to consider app the same way as a desktop, which makes it hard for a publisher to attribute it in the same way. Secondly, start testing as soon as you can. We are seeing the successes of some early adopters who are embracing the mobile web and mobile app. They have run A/B tests both on the desktop and mobile app simultaneously, and we are glad to see a number of different partners working with us running these A/B tests. Finally, it is important to ensure that mobile journey is optimized in a way that if a user is coming from Skyscanner app or mobile web environment, then they should not follow the desktop user journey. You need to look at the full flow from end to end. At Skyscanner, we have been working to enhance our experience on mobile through Direct Booking, which allows users to stay within the app instead of redirecting and entering a browser to book. Taking steps such as this helps to enhance trusts on both sides, and has delivered improvements in conversions and opportunities to up-sell and cross-sell. Ensuring that you consider how to make your users journey as seamless as possible really is key. Interested to discover the opportunities to advertise with Skyscanner? Click below to read more!